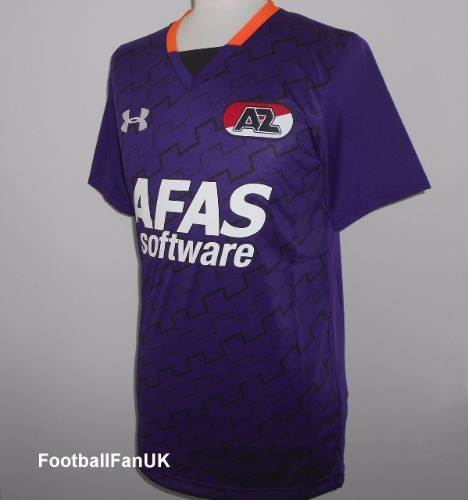 Official Under Armour AZ Alkmaar purple 3rd jersey for the 2016-2017 Eredivisie season. New with tags in UA packaging. - 'Samen naar victorie' printing inside neck. - Purple with black and orange trim. - Sponsors logo on front. - Under Armour product code 1278994-518. - New with tags in UA packaging. - Adult size Medium. Chest approx 40".